While accusing the soldiers of attacking defenceless protesters, Zango said: “They continue to say that we are armed. This is a blatant lie. If we are armed, Nigeria Army cannot face us. “If we have weapons with us, Nigeria Army is too small to face us. With our courage, braveness and bare hands, they are running away, talk more of when we have arms. They are cowards.” Zango also accused the Police of planting persons with arms among them. 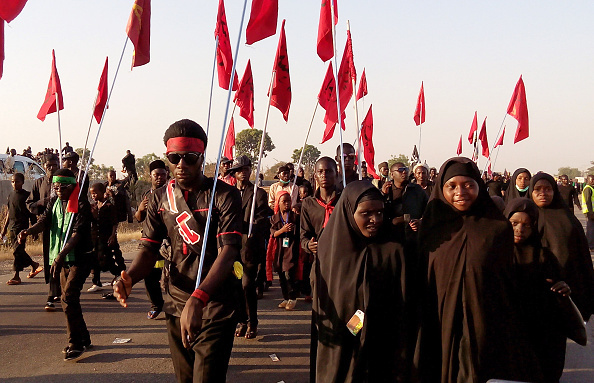 He said the movement has paid N8 million as hospital bills for 106 Shi’ites, who are currently receiving treatment at various hospitals in Abuja, adding that an additional N25 million would be needed to cater for other casualties still recuperating. According to Zango, the number of persons killed by the security agents is 47, noting that the group does not regret throwing stones at the security agents during the clash, describing the soldiers as cowards.